You are here: Home / News / The Urban Agenda (Is the CBC Still Relevant?). The Urban Agenda (Is the CBC Still Relevant?). (ThyBlackMan.com) The 116th Congress will usher in a seismic shift in the political landscape. With Democrats recapturing the House of Representatives, it gives fresh hope for moving in a new direction. But what will this new agenda be and who will be its champion? Before, during and after the mid-term elections we heard a lot about suburban independent voters and Trump’s rural base. We did not hear much, however, about urban voters and an agenda to meet their needs. And while residents in urban centers remain the most reliable Democratic voters, none of the incumbents or newly elected representatives have yet to articulate an “urban agenda”. Housing: Affordability is a large and growing problem for residents in major urban centers across the country. The number of individuals and families who are severely “rent burdened” – meaning they pay more than fifty percent of their monthly income for rent – continues to increase every year. The problems of deterioration and gentrification often coexist in the same city. Programs to help cities grow while also providing assistance to existing residents are desperately needed. Education: Too many urban school districts are failing, characterized by crumbling buildings and outdated curricula. In the nation’s capital, more than a third of a recent class of graduating seniors had missed over 100 days of school. Test scores in STEM subjects – science, technology, engineering and math – are well below the national average. We need an urban agenda that ensures students are educated in modern well equipped facilities, learning subjects that will prepare them for good paying jobs. Healthcare: The Affordable Care Act changed access to healthcare ensuring that even people with pre-existing conditions, like hypertension and diabetes, which are rampant in urban areas, could get insurance. The ACA’s expansion of Medicaid coverage for lower income families also made it possible for minimum wage workers without coverage to have their basic healthcare needs met. Democrats did a poor job of promoting the benefits of the ACA to the point that many people did not know that the ACA and “Obamacare” were the same thing. Employment: While it may be true that unemployment is at its lowest point in 50 years, it is still higher in urban areas and wages for the lowest skilled workers have not kept pace with inflation. When a new employer comes to town offering high paying jobs, like Amazon coming to Northern Virginia and Long Island, how many existing residents will have received the necessary education or work experience to qualify? An agenda for our major urban areas that focuses on housing, education, healthcare and employment will lift many inner-city residents out of poverty and put them on the path to sustaining a middle class lifestyle. But who will craft and push this agenda? 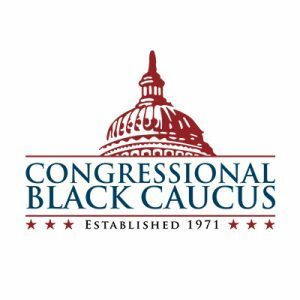 Normally, one could assume it would be the Congressional Black Caucus whose gerrymandered districts encompass the most impoverished urban areas in the country. But it’s difficult to understand what the Caucus does anymore. They certainly don’t stand behind ethnic unity. Newly elected Ayanna Pressley, the first black woman to represent Massachusetts in Congress, failed to get its endorsement in her primary bid against her incumbent white opponent and Marcia Fudge, a former leader, could not even muster enough verbal support among its members to make a credible run against Nancy Pelosi for Speaker. Having slightly more members than the Freedom Caucus on the Republican side, the CBC has vastly less power and influence. This may need to be a “bottom up” (Mayors can be conveners) movement where residents of urban areas – “minorities”, millennials and seniors – demand that their representatives coalesce, whether the representatives are black, white, latino or Asian, around a common agenda that affects urban dwellers across the country. An agenda that makes our cities more affordable, livable and inclusive places. The votes of urban dwellers are the backbone of the Democratic Party. It’s about time that they get at least the same attention and results as suburban and rural communities get from their representatives.